Big End Straight Fitting. 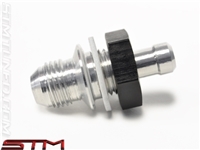 STM Fuel Sending Unit Bulkhead Fitting. Fathouse Fabrication's Mitsubishi EVO 8/9 Bolt In Fuel Cell! The DWR1000 was designed from the ground up with e85 in mind and is constructed with 100% e85 compatible materials such as stainless steel, anodized aluminum, and nitrile. FUELAB® 515 Series Fuel Pressure Regulators are designed with performance and flexibility in mind. 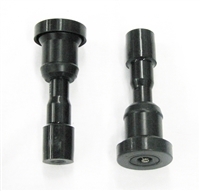 They accept port style and non-port style union fittings without interference. Our Boostin Performance Fuel Pressure Regulator Kit is designed for anyone running an upgraded fuel pump and or fuel injectors on your DSM/Evo. AEM’s 400lph Metric High Flow, high pressure Inline Fuel Pump is the perfect direct replacement upgrade for 044 pump users who want more fuel flow for their high performance vehicle! The Aeromotive 340 is a compact, lightweight pump that bolts into many existing hanger assemblies. Evo X/RA's require a fuel pump adapter piece/hanger to be used with this fuel pump. 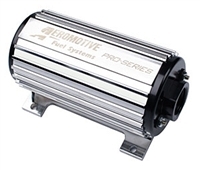 Engineered for high-horsepower racing engines, this pump features Aeromotive's innovative “dual chamber” pump design. Our Boostin Performance Double Pumper provides a true drop in solution that requires no modifications. If you're wanting to push your setup and make big power, this is a must-have upgrade fueling upgrade! 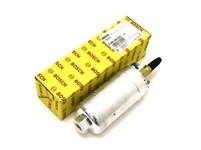 The Bosch Motorsports "044" universal in-line fuel pump is the most popular aftermarket fuel pump available on the market. Feeding this fuel pump in line with another fuel pump (in series), will boost the output of the Bosch 044 fuel pump even higher! Deatschweks' new in-line 250 LPH fuel pump. Deatschweks DW300c compact body allows for OE fitment, and is rated at 340LPH! 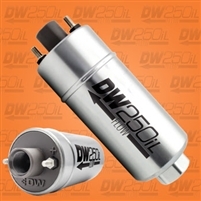 Deatschweks DW65c compact body allows for OE fitment, and is the first high flow 65mm fuel pump available on the market. 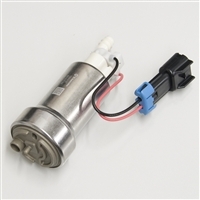 Walbro 255lph fuel pump only. 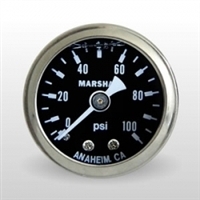 The Walbro 450lph fuel pump is E85 compatible, and is designed for 500+ HP vehicles. 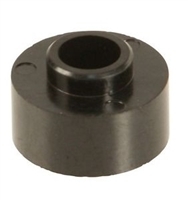 Replacement fuel pump sock/filter for your Walbro 255lph fuel pump. **FREE SHIPPING** Walbro 255lph fuel pump complete install kit for your DSM/Evo. AEM High Volume fuel rail for your Evo 8/9. Boostin Performance high flow fuel rail for Evo 8/9. OEM DSM/EVO Fuel Rail Spacer. Liquid filled for accurate, steady readings. Mitsubishi OEM Ignition Coil/Boot for the EVO 8/9. Sold Individually. 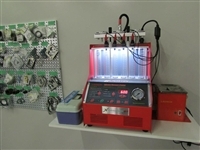 Ensure your injectors are free of gunk and debris. **Highly recommended for anyone running on E85 or stores their vehicle for an extended period of time. 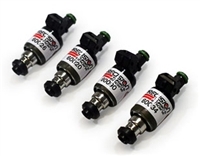 FIC Low Z 750cc-1450cc Injectors for your DSM/Evo. **FREE SHIPPING** Precision Turbo and Engine (PTE) 1200cc Injectors for your DSM/EVO! These are Low-Z. 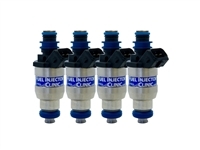 FIC 1000cc (High Z) Injectors for your DSM/Evo.